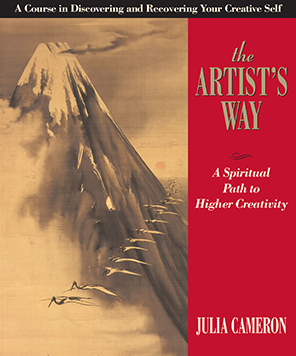 Sometime around the time we were welcoming baby #3, Julia Cameron’s The Artist’s Way was published. Needless to say, I missed the entire thing. Yesterday, as I was creating a For Further Reading section for a book I’m working on, I came across The Artist’s Way. It looked good so I thought I’d take a closer look. For those of you who have also missed it, I’ll be posting updates about this approach to creativity/spirituality. So far, Cameron’s assertion that creativity is a gift and that we should share this gift rings true to my own beliefs. I mean, what an incredible world it would be if we could all find a way to share that thing about ourselves that is unique. Categories: Blog, Writing Life | Tags: Higher Creativity, Julia Cameron, Spirituality, The Artist's Way, writing | Permalink.